Here's a quick summary of current events affecting Fraser Valley real estate. Surrey City Council defeated the motion tabled by Councillor Brenda Locke at the last council meeting to pause development activity along the Fraser Highway until further consultation has been completed. 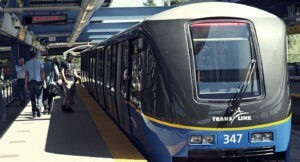 In support of the motion, Councillor Hundial said “you measure twice and cut once” meaning the SkyTrain will only be built once and that it’s crucial to get it done correctly on the first attempt. Despite several councillors supporting the motion, Mayor McCallum strongly opposed saying it goes against what they deem “Smart Development” and that they had previously agreed to densify the corridor, which this motion would do nothing but delay. The Mayor’s vote was a crucial one, defeating the motion by a count of 5-4. Earlier in the meeting, Councillor Brenda Locke inquired about the time frame needed to revise land use plans and consult with schools, parks, etc to which planning answered it would take roughly one year. In summary, council will not pause development and will still consider development applications along the Fraser Highway before final revision of the land use plans and confirmed location of future SkyTrain stops. However, developers submitting applications that exceed plan densities will undoubtedly face opposition from councillors who supported the tabled motion. Bank of Canada Governor Stephen Poloz indicated he’s all but abandoned any bias for higher interest rates, saying officials will be focusing solely on current economic conditions, changing the course from previous announcements where a need to raise rates seemed high on their priority list. In our opinion, the global trade tensions, troubled oil sector and slumping housing market are all contributing factors in the Bank of Canada’s shifting stance. 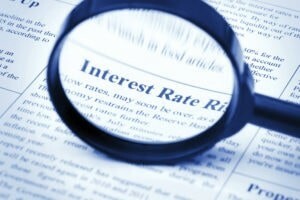 Regardless of whether rates will rise, remain the same or even drop, it’s clear the Bank of Canada feels strongly that stimulative rates are still warranted and are unlikely to change for the next few months. 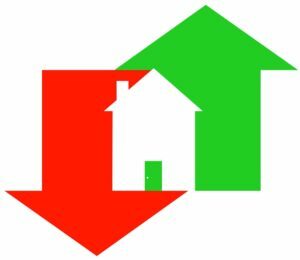 This is welcomed news for the British Columbia real estate sector that has seen the lowest sales numbers in years and a slight decline in pricing that a further hike would have surely accelerated. March numbers have been released and although they didn’t break records, the Valley fared quite well when compared to its neighbours across the Port Mann that saw the lowest sales numbers in decades. 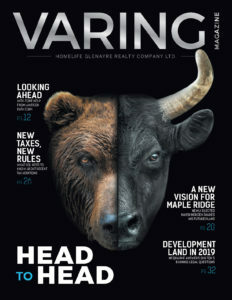 Last month, the Fraser Valley Real Estate Board processed 1,221 sales of all property types on its Multiple Listing Service, a 24.3 per cent increase compared to sales in February 2019, and a 26.6 per cent decrease compared to the 1,664 sales in March of last year. Of the 1,221 total sales, 462 were residential detached homes, 300 were townhouses, and 346 were apartments. This was the lowest sales total for the Board during March since 2013. In regards to future development land, investors and developers are remaining active but taking a cautious approach, especially with land that provides little certainty for future yield. This leads us to believe that we are definitely past the days of double digit yearly price increases but remain optimistic that the rest of 2019 will bring more of the same; fewer sales than previous years with slight downward pressure on pricing.